The dependences of the values of angular velocities and angular accelerations of the driven crank on the leading crank are investigated. The methods of synthesis of modifications of Bennett’s mechanism according to the degree of non-uniformity of rotation of the driven crank, according to the positions of the driving and driven units are considered. 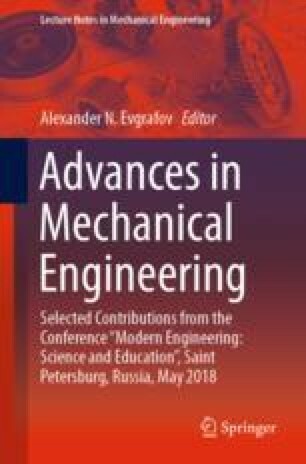 Formulas are obtained that allow tracing the influence of the geometric parameters of the links of the mechanism on the kinematics of the cranks. The calculation results are displayed in the form of graphs.